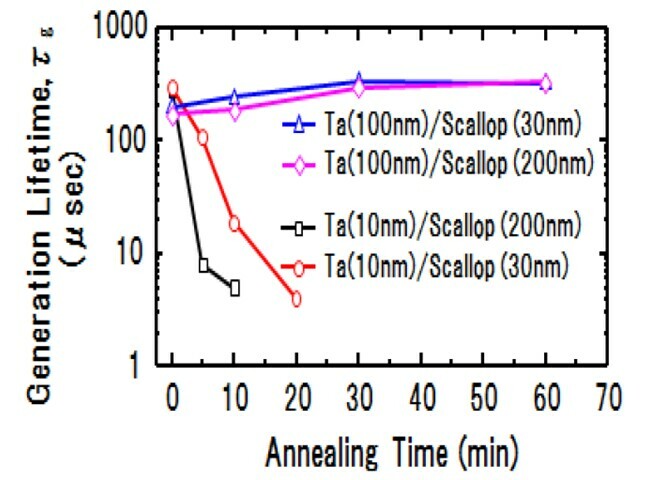 Leakage current between TSV was measured after annealing for 5 min at from 200 to 400C. 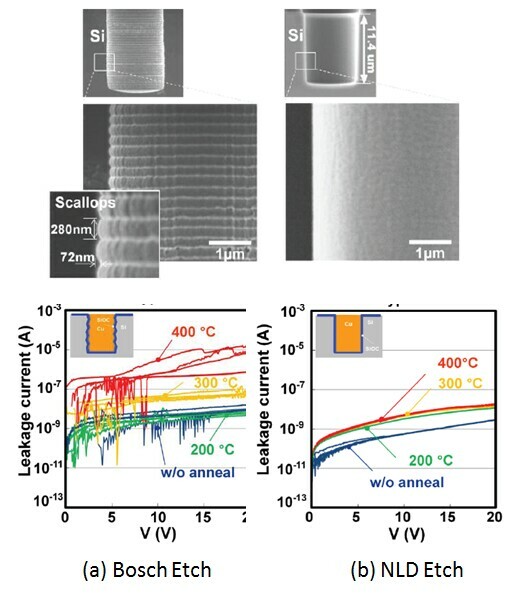 Leakage current of NLD is lower than the bosch etched TSV initially and is less than 100x smaller than Bosch after anneal at 400C. 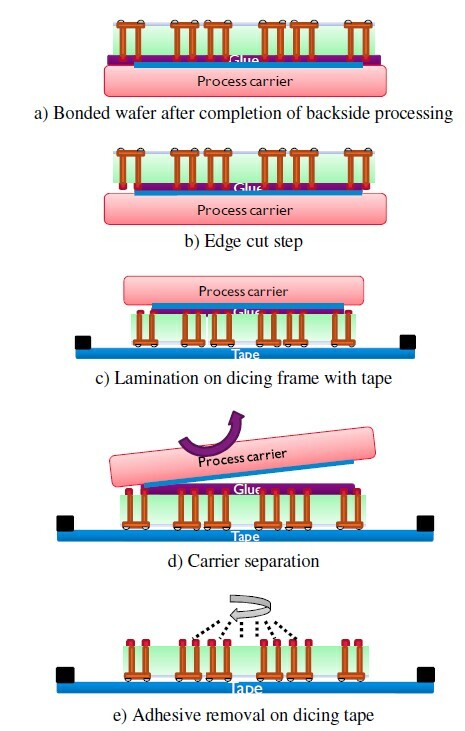 These results are correlated with cracking of the insulation layer and subsequent migration of copper. It appears as though sidewall roughness initiates crack growth. 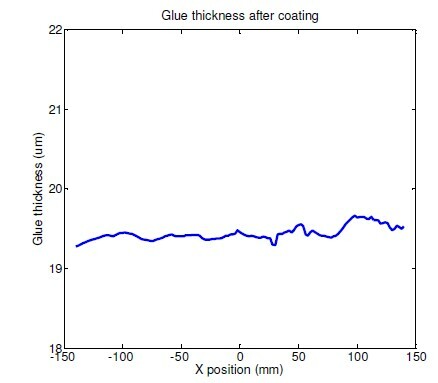 Since anneal at 400+ is recommended to reduce the effects of copper protrusion [see IFTLE 6 "Cu-Cu and IMC Bonding Studies at 2010 ECTC…"], it is recommended by IFTLE that such leakage current experiments be run when optimizing Cu anneal process during TSV fabrication to insure integrity of the barrier and insulation layers after processing. This entry was posted in Uncategorized on February 25, 2012 by insights-from-leading-edge.